J.G.M. (Han) RAVEN. Notes on molluscs from NW Borneo and Singapore 1. Stromboidea (Gastropoda, Strombidae, Rostellariidae, Seraphidae). An overview is given of the species of Stromboidea hitherto known to occur in NW Borneo (Malaysia and Brunei), and information is provided regarding the (depositional) environments in which they live. It was found that most species are either restricted to sandy or muddy environments along the linear clastic shorelines, or to coral reef environments. Dolomena hickeyi is recorded for the first time from Malaysia and Brunei (South China Sea and Sulu Sea), which greatly expands its hitherto known distribution. The taxonomic position of D. dilatata forma orosmina should be revised: it is at least a subspecies, possibly a separate species. Although very variable all populations of D. marginata belong to the subspecies D. marginata robusta. Additional evidence is provided for the distinction of Laevistrombus canarium and L. turturella as separate species. Two forms of Gibberulus gibberulus are reported, but a further review comprising material from a larger area is required to establish whether these are separate taxa. Varicospira crispata is for the first time recorded from shallow water environments. H. DEKKER. A note on the distribution of two species of Tibia in Yemen (Gastropoda, Rostellariidae). Based on material collected during two expeditions to Yemen, the distribution is given for two species of Tibia Röding, 1798 occurring along the Yemeni coastline. Comments are given on the status of Tibia insulaechorab Röding, 1798 and Tibia curta (Sowerby II, 1842). It is shown that both are different species which occur in different areas. G.C. KRONENBERG & A.W. BURGER. On the subdivision of recent Tibia-like gastropods (Gastropoda, Stromboidea), with the recognition of the family Rostellariidae Gabb, 1868, and a note on the type species of Tibia Röding, 1798. 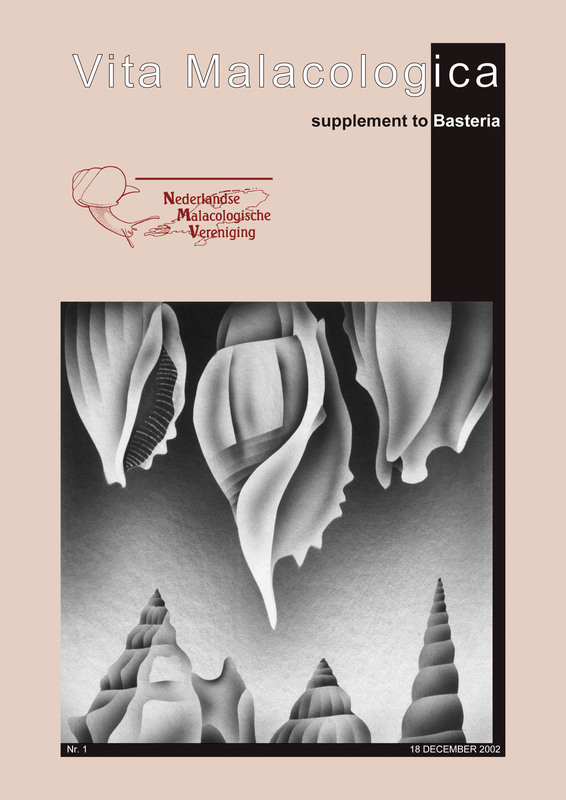 The supraspecific taxa of the recent Tibia-like gastropods are reviewed. Based on conchological characters these taxa are better regarded as genera rather than subgenera. The family-level taxon Rostallariidae Gabb, 1868, which accommodates the recent Tibia-like taxa as well as a number of fossil genera is recognized as closely related to, but separated from the Strombidae. The exact relationships within this clade remain uncertain. Lectotypes for the nominal taxa Murex fusus Linnaeus, 1758, Strombus fusus Linnaeus, 1767 and Tibia insulaechorab Röding, 1798, are designated. Terestrombus (type species: Lambis fragilis Röding, 1798) and Tridentarius (type species : Strombus dentatus Linnaeus, 1758) are two new Indo-Pacific genera of Strombidae based on a comparative study of shell characters. We extend the geographic ranges of Terestrombus afrobellatus (Abbott, 1960) and T. terebellatus (Linnaeus, 1758), taxa from the Indian and the Pacific Ocean respectively, which we consider full species instead of subspecies as previous authors have done. We discuss a previously unrecognized character, nature of edge of outer lip, as a potentially informative feature from strombid phylogeny. All American and some Indo-Pacific strombids, including Terestrombus, have an unglazed adult outer lip-edge; whereas glazed lip edges are today found only in Indo-Pacific strombids, including Tridentarius. Projections on the outer lip have evolved multiple times in Stromboidea, including Tridentarius. Among Neogene Strombidae, these featrures evolved only in Indo-Pacific clades. Type species: Lambis fragilis Röding, 1798, Indo-Pacific Miocene to Recent. Type species: Strombus dentatus Linnaeus, 1758, Indo-Pacific Pleistocene to Recent. G.C. KRONENBERG. Revision of Euprotomus Gill, 1870. 3. Description of Euprotomus aurora spec. nov. from the Indian Ocean (Gastropoda, Strombidae). Type locality: NIOP-E “Tyro” Seychelles 1992/1993 expedition Sta. 734, SW of LaDigue Island, 4˚23’S 55˚49”E, at 30 m.